Pakistan ranks high on the list of countries where journalists are killed, activists kidnapped and tortured and freedom of speech censored. Pakistan’s leading human rights organization, the Human Rights Commission of Pakistan (HRCP) just released its fact-finding report on the curbs on freedom of expression inside Pakistan. “Interviews carried out independently by HRCP with distributors in Balochistan, Punjab and Sindh corroborate allegations by Dawn that disruptions and intermittent closures in commercial establishments and residential areas associated with the military have had a serious impact on business. Following the publication of an interview with former Prime Minister Nawaz Sharif on 12 May 2018, sales agents allege that the distribution of Dawn has been disrupted daily in at least 20 targeted cities and towns – specifically in cantonment areas and army offices and schools. Hawkers report being subjected to continual harassment, threats and physical coercion by military personnel while attempting to deliver copies of Dawn to regular subscribers. At least two distributors confirm that they were asked to provide information on their subscribers. “Verbal press advice, received either on the telephone or during a visit, usually pertains to what should not be published or broadcast. 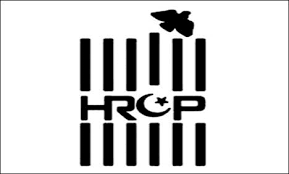 HRCP’s interviews reveal that the most commonly tabooed subjects are: missing persons, the Pashtun Tahafuz Movement (PTM), Baloch separatists and rights activists such as Mama Qadeer, the Panama trial and NAB references, the disqualification and arrest of Nawaz Sharif, references to any questionable decisions by the judiciary, allegations of judicial overreach and questions about the armed forces. At least two respondents report having been warned that news transmissions must use the words ‘criminal’ or ‘convicted’ – rather than ‘former Prime Minister’ – to identify Nawaz Sharif. Other topics unpopular with the establishment, at least three respondents have claimed, include criticism of the PTI. Another reportedly common piece of press advice to the broadcast media is that the channel should give greater coverage to PTI rallies and only minimal coverage to other parties’ events. Other issues raised over what one respondent termed ‘a friendly cup of tea’ – the standard euphemism applied to summons from state agencies – include questions pertaining to coverage of national security issues, editorial policies and even reporters’ sources. – Protect the right of television channel and news publication owners to function with dignity and in peace. – There should be no interference in the sale and distribution of any newspaper, nor should any TV channels be deliberately displaced. – The system of issuing ‘press advice’ or press-advice-like ‘instructions’ on the part of state agencies must cease immediately. – All complaints of this nature should be redressed promptly.